If you want to power up your Mini Dual Power Supply, you need to supply it with an AC voltage on its input. You can either use a simple tranformer or, safer and easier to manage, use a AC/AC wallwart adapter. It’s not easy sometimes to make distinction between an AC to DC adapter and an AC to AC adapter. They share the same form factor, the same look and feel. But there are clear indications to help you determine the type of each one. A AC/DC adpater. Here, 3 signs clearly show a DC output. 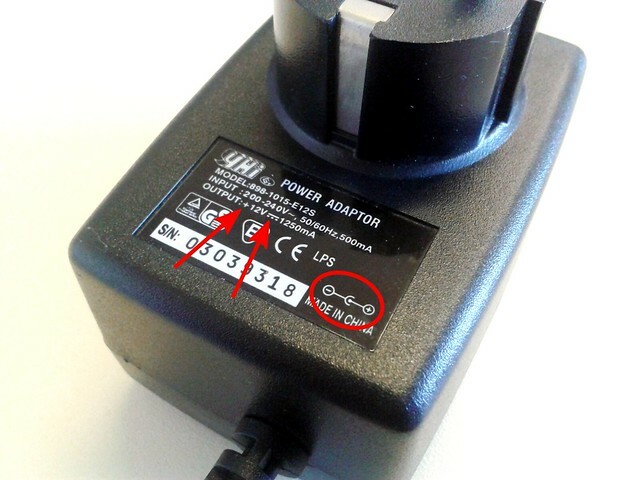 a “+” sign, the “===” sign and circled in red, the polarity of the connector. And here, we have an AC/AC adapter. 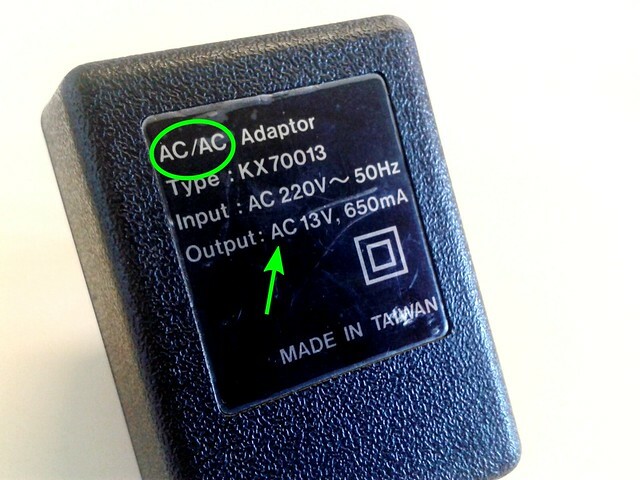 It’s clearly indicated “AC/AC” and the output is written “AC 13V”. No polarity sign, no “+”, no “-“. This is a good candidate for your MDPS! Using an AC/DC adapter with the MDPS will give you only one output available. Depending on the polarity on the input, you will have either the positive rail or the negative rail alive. Only an AC/AC adapter will provide the correct voltages for your MDPS.